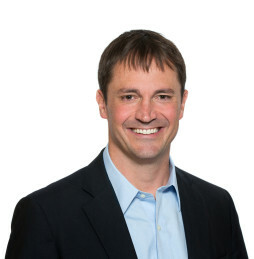 Since 2014, ScottMadden has joined the Smart Electric Power Alliance (SEPA) to provide energy industry decision makers with the knowledge, tools, contacts, and insights to position their utility for the future. In October 2018, ScottMadden served as the executive sponsor for SEPA’s Executive Fact-Finding Mission in the United Kingdom. This mission explored the powerful discoveries and course corrections of the UK’s most recent energy experimentations, including performance-based energy price schemes, transactive energy projects, and flexibility markets. Public Utilities Fortnightly Magazine, February 2019: Decarbonization and RIIO in the U.K. In October 2017, ScottMadden and SEPA led a group of industry executives to the Netherlands and Belgium to explore the renewable energy market and grid modernization efforts of these two countries – as well as the greater European Union. In the Netherlands, the delegation participated in a day of the European Utility Week conference and a tour of the expo floor to gain additional insights into how utilities and energy companies in Europe are operating and planning for the future. In Brussels, executives examined a number of perspectives and approaches related to grid planning and the evolving electricity market. Public Utilities Fortnightly Magazine, October 2018: Does Europe Have a Handle on Its Energy Future? In November 2016, ScottMadden and SEPA led a fact-finding mission to discover ways Australian utilities and partners were deploying distributed energy resources (DERs) and how customers were responding to the market shift. The team met with energy industry peers and returned with insights and practical knowledge for planning and business decisions in the U.S. In November 2015, ScottMadden partnered with SEPA to lead a group of U.S. energy industry executives to the deregulated “energy market laboratory” of Austin and San Antonio, Texas. The trip focused on examining the innovative programs and offerings that are enabling solar to grow in this dynamic energy market. Exploring the Hawaii Renewable Energy Market: What’s Driving the Change? In September 2015, ScottMadden and SEPA led a group of international energy industry executives to explore the renewable energy market in Oahu, Hawaii to learn from electricity and solar market leaders who are adapting to change in this dynamic and challenging environment. As a result of this trip, the team identified key learnings in three main areas: operational and technical issues, customers and stakeholders, and leadership. The report, “The Hawaii Postcard: Lessons on Grid Transformation,” provides an in-depth look into the findings. 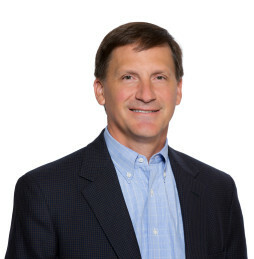 In September 2014, ScottMadden joined SEPA to lead a group of approximately 25 U.S. energy industry executives to the bellwether energy market of Germany to exchange information with electricity and solar market leaders who are adapting to change in this dynamic and controversial environment. This select group of executives met with energy industry peers, returning with insights and practical knowledge that could be applied to planning and business decisions in the United States. The trip featured face-to-face meetings with thought leaders and decision-makers from the electric utility, transmission, and renewable energy industries; government, trade, and industry associations; and market experts. Blockchain technology carries a similar revolutionary potential to that of the internet, though be wary of the hype. This report focuses on how blockchains work, the current state, and next steps for putting distributed ledger technologies on the radar.